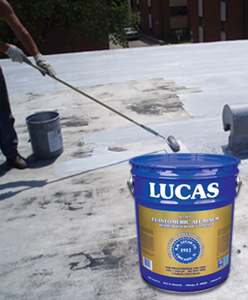 Lucas aluminum coatings offer the best one coat solution for protecting and preserving asphalt, modified bitumen and metal roofs. We offer three levels of quality in both fibered and non-fibered versions as well as rubber modified and water-based alternatives. 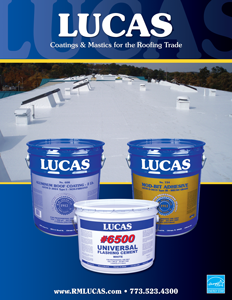 Specialty metallic pigmented products include a radiant barrier coating and an all purpose thermoplastic rubber based roof repair mastic.